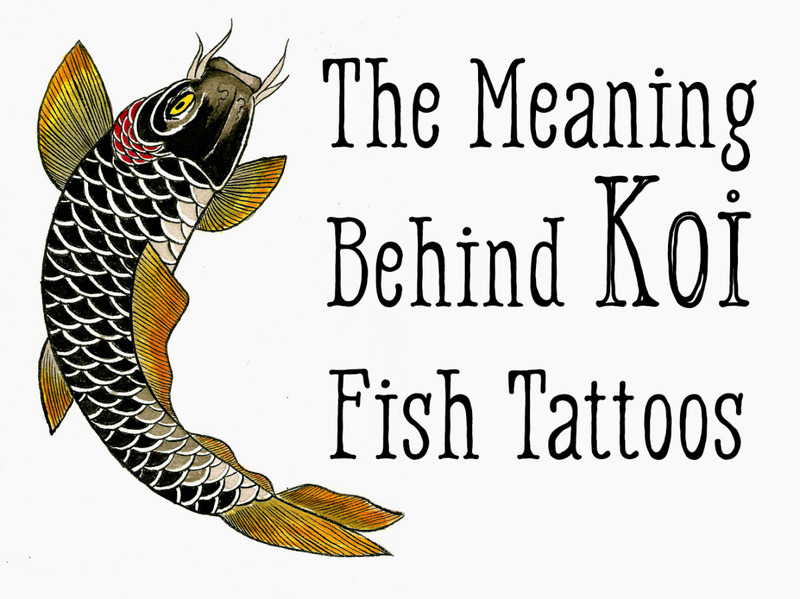 I love tattoos and have been writing about the topic for several years. While many tribes and peoples around the world have their own tattoo styles and meanings, "tribal tattoos" in modern culture generally means tattoos with areas of solid color (usually black) and curving abstract forms. 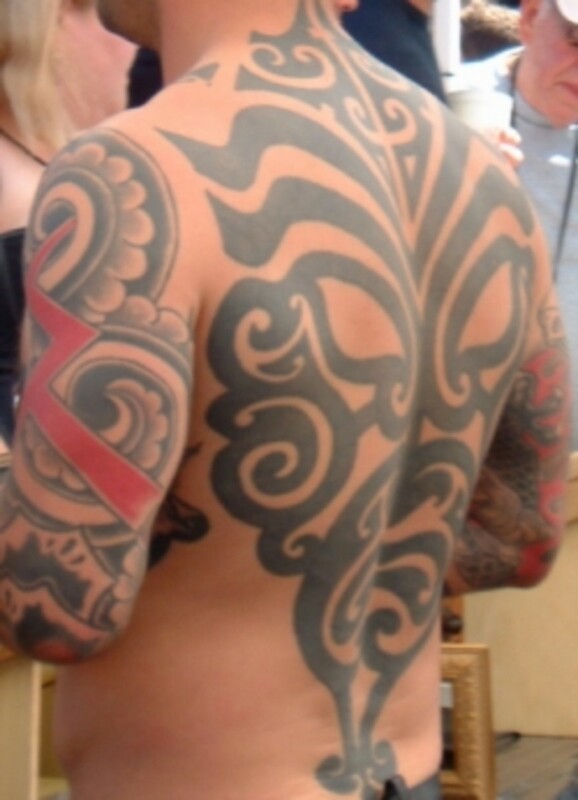 This modern "tribal tattoo" style ultimately comes from Polynesian sources including Maori, Tahitian, and Hawaiian traditions. Tribal tattoos figure in the fascinating history of tattooing, because tattooing as an art form had almost been lost to mainstream society until Don Ed Hardy, the San Franciso artist, got together with Leo Zulueta to resurrect the art form. 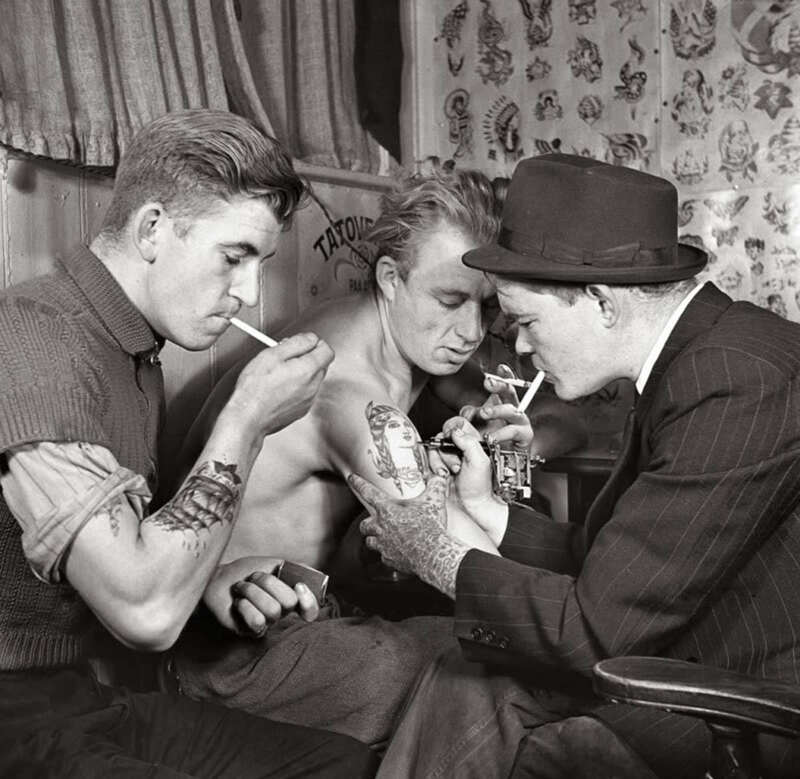 Tattoo Times, a magazine launched by Hardy, had a strong focus on tribal tattoos and became wildly popular among certain portions of the population. Leo Zulueta grew up in Hawaii and is of Filipino descent. 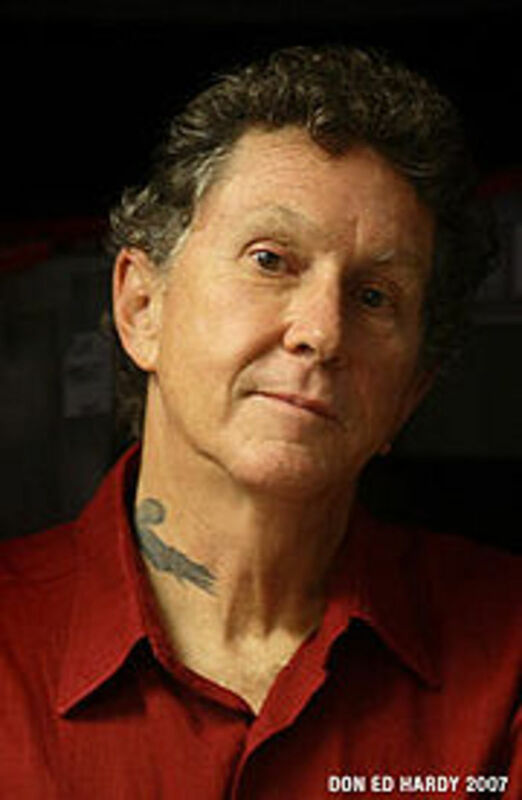 He met Don Ed Hardy, who mentored and encouraged Zulueta in his desire to see more traditional and "pretechnological" themes in the tattooing field. 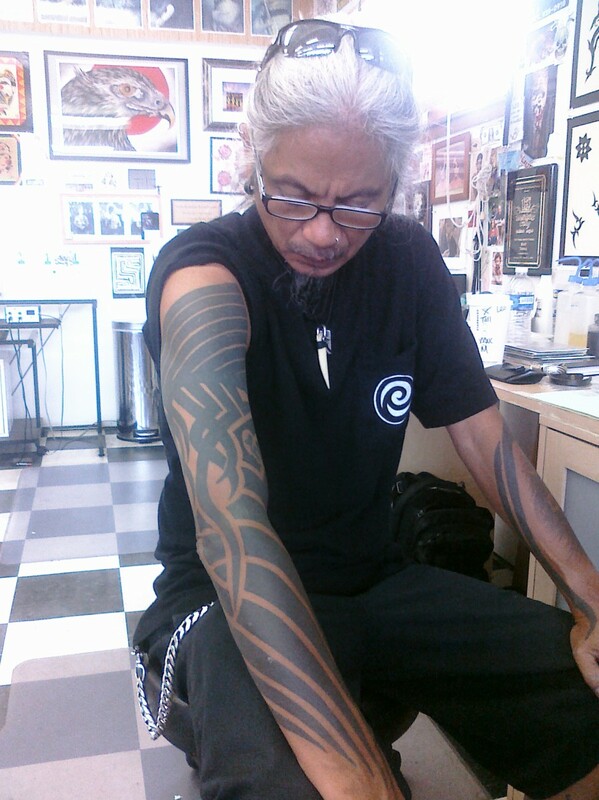 When Zulueta lived in Hawaii, he observed that Native Hawaiians had largely abandoned indigenous tattoo traditions, and he wanted to encourage them to embrace those traditions again. Hardy's main role in the process was to encourage Zulueta to collect as many photos and drawings of native tattoos as he could. He would go to public libraries and photocopy anything he could find on tribal tattoos. At that time (1977), Hardy started tattooing Zulueta, and in 1981 Zulueta ended up starting to tattoo punk kids living in Southern California. 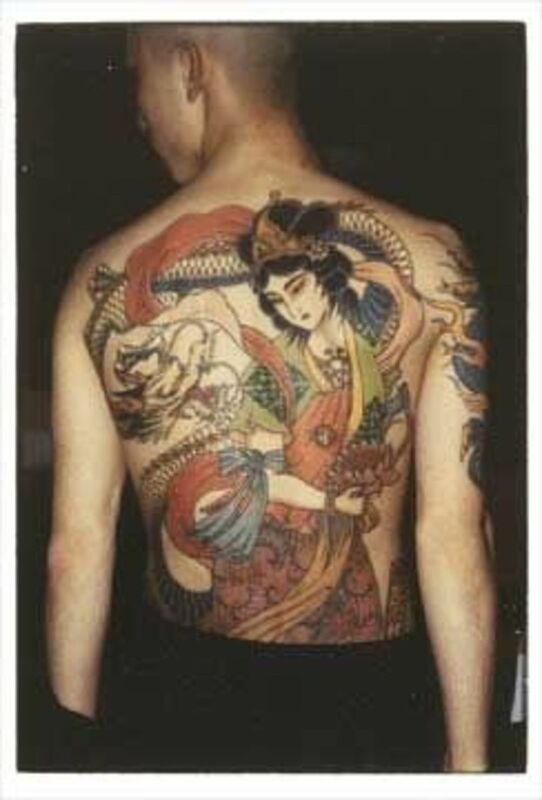 Their demands for unique styles pushed him further toward tribal tattoos as his main focus. Enough of tribal tattoo history—let's take look at the unique art of tribal tattoos, which has moved quickly toward a very distinct style, which people immediately recognize, even if they don't know what it's called. Some tattooers consider simple tribal tattoos a little beneath them just because they are simple. Simple tattoos offend their artistic sensibilities because they're not enough of a challenge; they don't want to look like amateur artists to their peers. 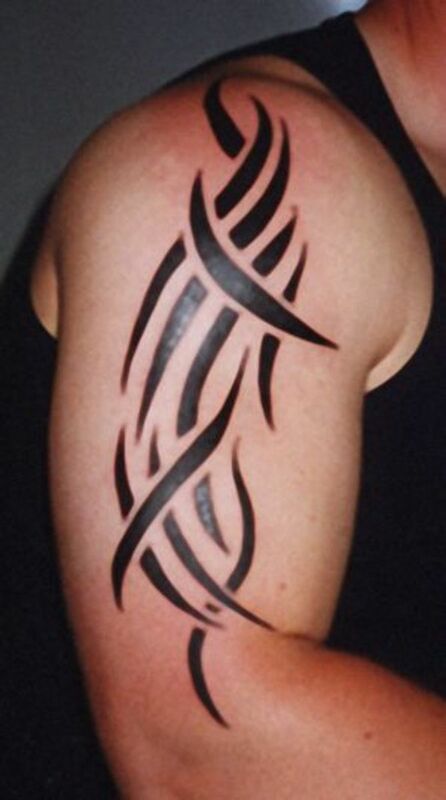 I'm talking about simple tribal tattoo designs when I mention this, not the more complex. The truth is that even simple tribal tattoos are in reality difficult to apply properly. Because much of the tribal motif is black, the single color makes it even more important to keep the color even, which is not always easy to do. And that's not all to the art either. 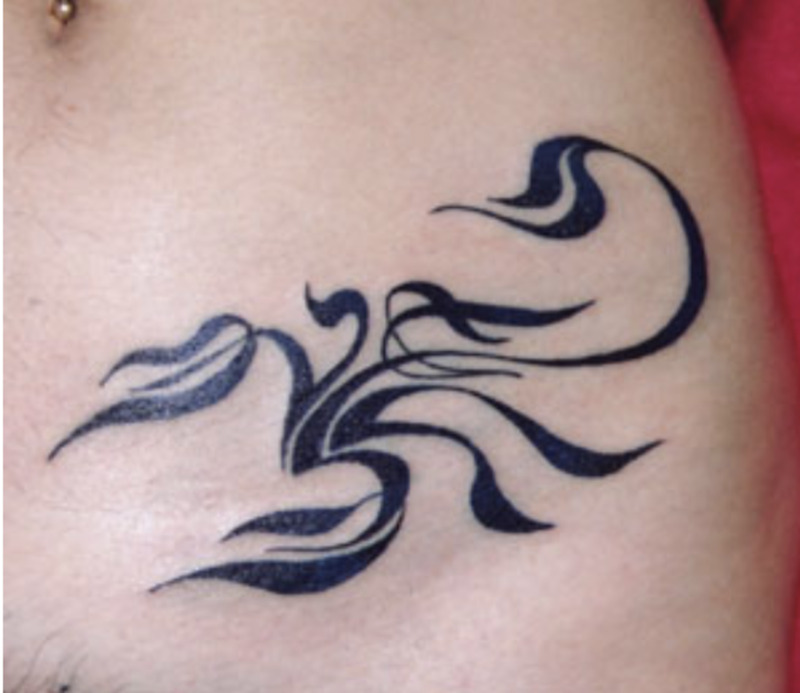 Choosing the right place to put a tribal tattoo is also challenging, because of the flowing lines included in the style. These lines must flow along the shapes of the muscles to look right. 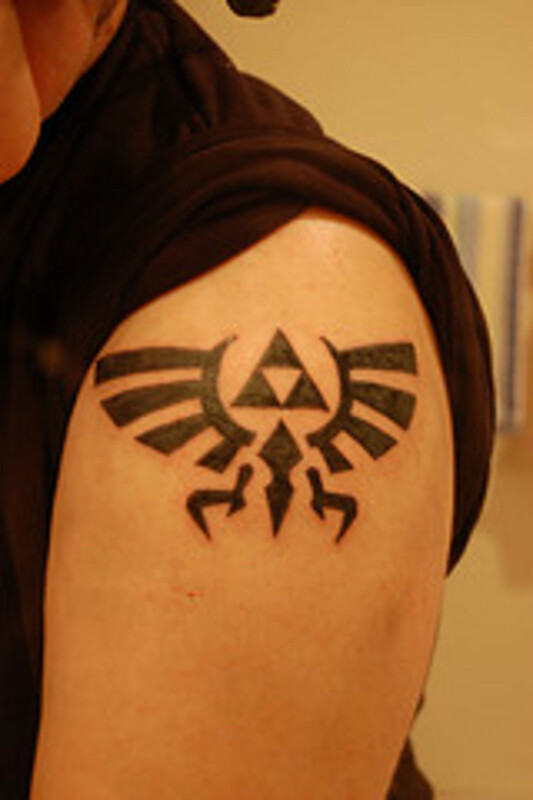 You may have to do a little convincing to convince tattoo artists that you want a simple-looking tattoo. I think the reason there's been such a resurgence and growth in popularity of tribal tattoos is the yearning of people to be reminded they're not alone; they want to be part of something bigger than themselves—a tribe of some sort. So to put the ink on in a tribal motif offers the feeling of belonging to a community of like-minded people, even if they don't always have direct physical connections. 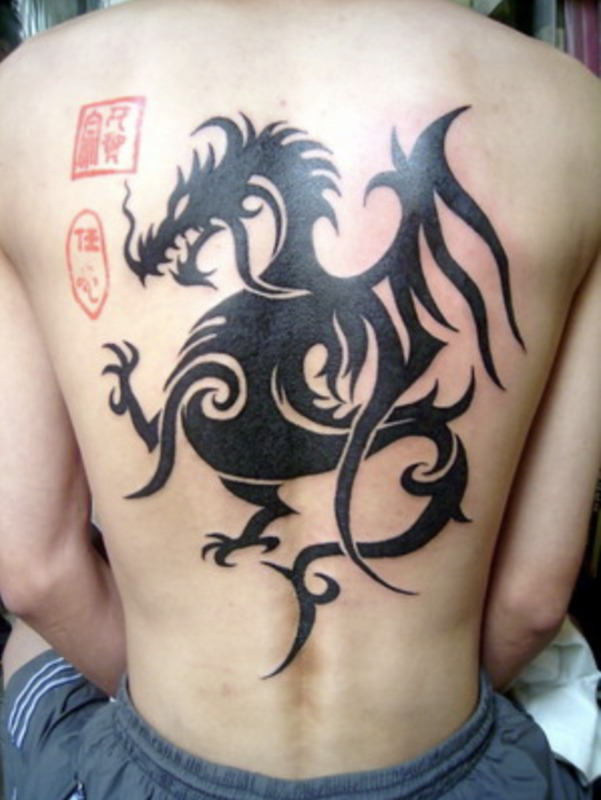 Because of that, tribal tattoos will continue to be a hot item in the tattooing world, and will be one of the most popular ways people express themselves. And it's just plain fun to have tribal tattoos put on your body, and that's a huge motivator as well. 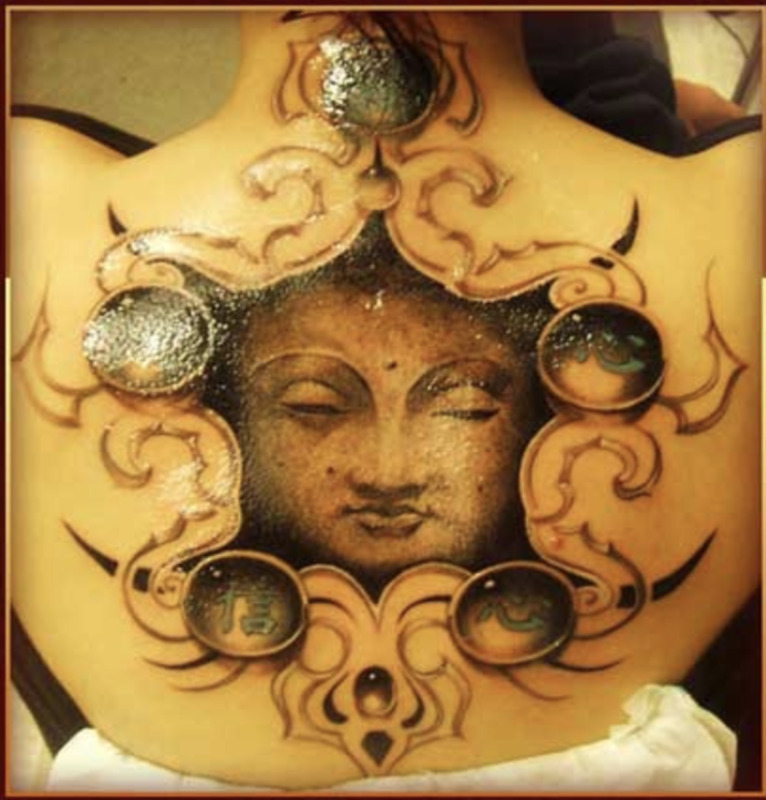 As you can see, you can make an infinite variety of designs and blends incorporating tribal tattoos. And there's simply something about a tribal tattoo, even when it seems simple, that catches the eyes of those viewing, and for someone being tattooed, that's a key reason for getting one. Thanks for this article. At first I did think that they were too "simple." You made a good point about the placement of these tattoos. I should give tribal designs some more thought when choosing my tattoos. Cheers. That sword sounds pretty cool Rogue. Now that ancestry of yours is a pretty interesting mix. Interesting, Bacon. I have a tribal tatoo incorporating a sword on my right bicep. I wanted it to be tribal in theme to honor my Celtic ancestry as well as all the other tribes in my heritage (African, Jewish, Native American). But the sword was also so I could wear the warrior and concentrate less on BEING one. Thanks for the pics!